Co-founded by Robert De Niro to help rejuvenate Lower Manhattan in the wake of the September 11 attacks, the Tribeca Film Festival has always placed an emphasis on touching, personal and unique stories that come from across the length and breadth of the world. It also gives major movie stars the opportunity to flex their creative muscles. Rather than the special effects, mainstream-aimed, and CGI-heavy blockbusters that most of them produce in Hollywood with major studios, their output at Tribeca consists of smaller, independent movies that are more character driven. The 2016 Tribeca Film Festival is no different. In fact, this year we have efforts from, to name but a few, Tom Hanks, Tom Hiddleston, Eddie Murphy, Michael Shannon, Kevin Spacey, and Ricky Gervais to contend with. What are the main highlights of the festival, though? Well, have a gander below to find out. The world needs a regular dose of Tom Hanks. Whether it’s just perusing his Twitter account to make yourself feel better, re-watching Big, or waiting eagerly for his latest release, everything feels better when Hanks is in your life. The Tribeca Film Festival has got your back in that regard, as it features a brand new film from Tom Hanks in the shape of A Hologram For The King. 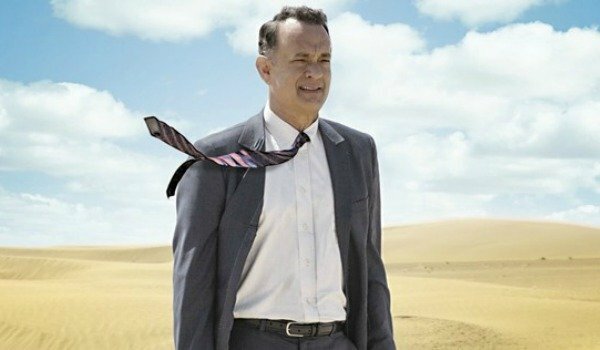 Written and directed by Tom Tykwer (Run Lola Run, Perfume: The Story Of A Murderer, The International, Cloud Atlas), it tells the tale of Tom Hanks’ Alan Clay, a desperate American salesman who travels to Saudi Arabia to secure an IT contract for a huge complex being built in the middle of a desert. Even though the first trailer was admittedly a little underwhelming, the presence of Tom Hanks means that A Hologram For The King immediately has something going for it. 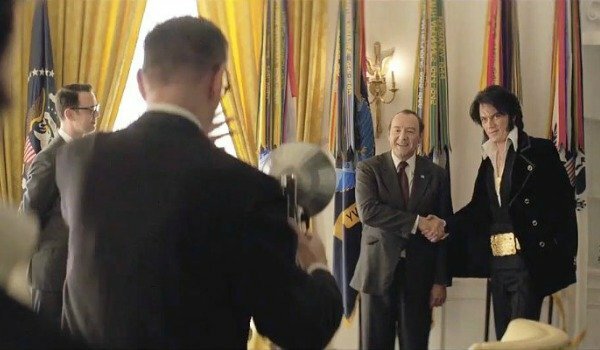 Based upon one of the most famous images of all time, Elvis & Nixon, rather unsurprisingly, revolves around the morning of December 21, 1970, when Elvis Presley arrived at the White House and requested a meeting with President Richard Nixon. What did The King Of Rock And Roll want? To be sworn in as an undercover agent in the Bureau Of Narcotics and Dangerous Drugs. But while the plot for this film is undoubtedly intriguing, the biggest appeal is getting to see two of the most talented actors of the last 20 years pitting their talents against each other as two iconic figures. Kevin Spacey has spent the last few years as Frank Underwood in House Of Cards, while Michael Shannon continually excels whenever he is on screen, be it in Midnight Special or even when he’s just playing a corpse in Batman V Superman: Dawn Of Justice. It’s not just feature films that we should be excited about ahead of the 2016 Tribeca Film Festival. The documentary Ghostheads explores the extreme side of Ghostbusters fandom ahead of the reboot’s release, while For The Love Of Spock takes a look at the life and career of Leonard Nimoy and his iconic character Mr. Spock. Not only will it use interviews with various cast and crew members from Star Trek, but it will also include discussions with fans from conventions, and it's being narrated by Zachary Quinto, who plays Spock in the current incarnation of the franchise. 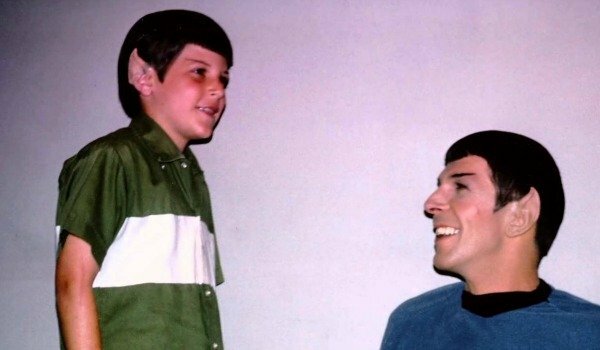 For The Love Of Spock has also been directed by Nimoy’s son Adam. So expect it to be a tender and emotional cinematic journey. With Kill List, Sightseers, and A Field In England, Ben Wheatley has created vivid and violent movies that are as striking as they are unique. They’re also concise and wonderfully pulpy, too, with the filmmaker always leaving the audience wanting more. Audiences at Tribeca will be able to quench that thirst with High-Rise, which sees the director dipping his toe into mainstream waters. Not only is it based on the novel of the same name from J.G. 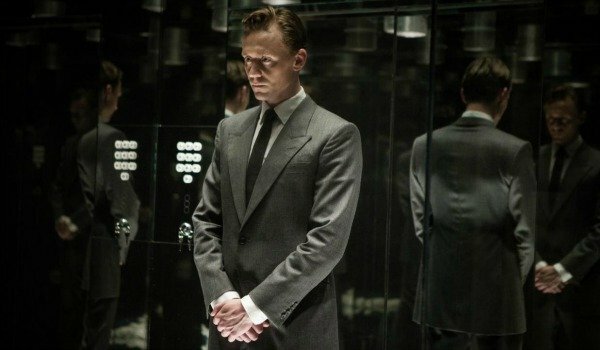 Ballard, but its trailer suggests that High-Rise has been made with a bigger budget than Ben Wheatley has used before. Plus it has a fabulous array of mainstream actors including Tom Hiddleston, Jeremy Irons, Sienna Miller, Luke Evans, and Elisabeth Moss. Fingers crossed it still possess the same scintillating style of filmmaking that we’re used to from Ben Wheatley. Encouragingly, reviews from across Europe suggest that’s the case. We’ve got quite a lot to look forward to from Ricky Gervais between now and the end of 2016. 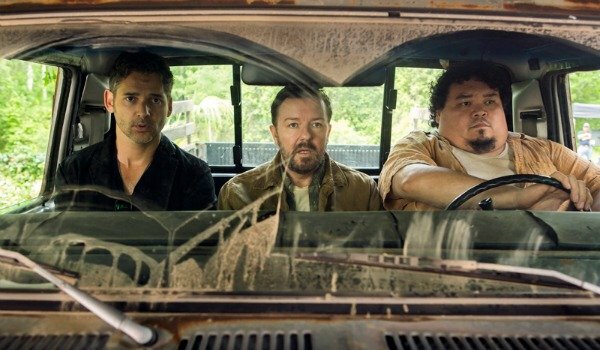 Not only is he returning to, arguably, his greatest comic creation David Brent with Life On The Road, but he’s also written and directed Special Correspondents. Based on the French comedy of the same name, Gervais and his co-star Eric Bana play two journalists who pretend that they’re reporting live from a war-torn country, even though they’re actually just in New York. Ricky Gervais has been able to get an all-star cast involved in the project, as it will also include Vera Farmiga, Kelly Macdonald, Kevin Pollak. Benjamin Bratt, America Ferrera, and Raul Castillo. But those of you who can’t get to Tribeca don’t need to fret, because Special Correspondents will debut on Netflix as early as April 29. There’s a good chance that most of you already know about Taika Waititi thanks to his delightful 2014 comedy What We Do In The Shadows. If you don’t, then you soon will, because he’s co-written Disney’s Moana, due out later this year, and is also directing Thor: Ragnarok. 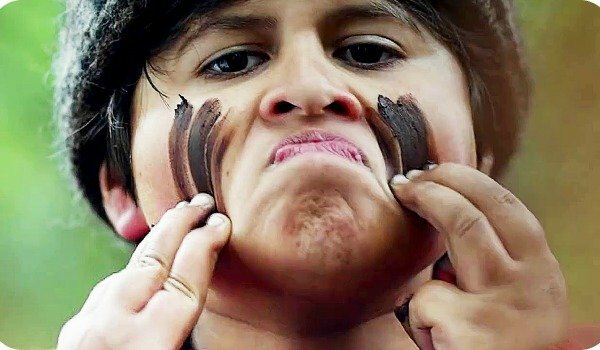 But he’s not gone all Hollywood just yet, because Taika Waititi’s latest film Hunt For The Wilderpeople is proudly Kiwi and is screening at Tribeca after premiering at the 2016 Sundance Film Festival in January. It revolves around a recently bereaved uncle and his young foster nephew out in the wild trying to survive, while child services and a manhunt try to find them. It’s already broken box office records in New Zealand, and possesses an impressive cast that includes Flight Of The Conchords’ Rhys Darby and the legend that is Sam Neill. If you’re looking for some potential awards-season fodder, then Tribeca has that in droves, too. 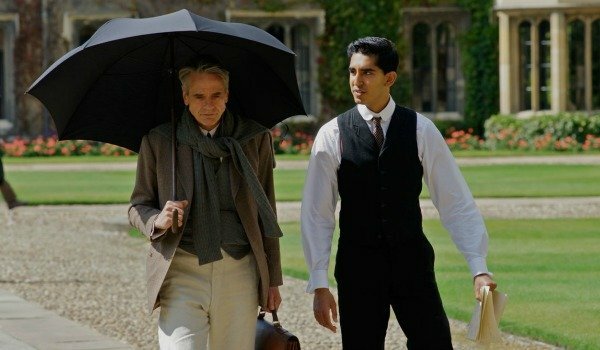 Based on Robert Kanigel’s book, The Man Who Knew Infinity tells the true story of Srinivasa Ramanujan, who grew up in India but during World War I, gained admittance to Cambridge University, where he became one of the most influential mathematicians in history thanks to his work with professor G.H. Hardy. Dev Patel and Jeremy Irons take the lead roles, and as it’s English, a period piece, and revolves around tortured geniuses, the film was obviously intended to be in contention come awards season. Unfortunately, after premiering at the 2015 Toronto International Film Festival, it failed to generate the buzz to make it a serious contender. But that doesn’t mean that it is isn’t any good. We shall see. Speaking of a cheeky awards contender, how about Eddie Murphy for Best Actor? Seriously! Mr. Church sees Eddie Murphy starring opposite Tomorrowland’s Britt Robertson, and it tells the story of the unlikely and unique friendship that develops after a dying woman hires a cook to care for her 11-year-old daughter. Mr. Church is due to premiere at Tribeca Film Festival, so we’re not yet sure if Eddie Murphy’s performance is genuinely awards season fodder. However, the fact that Warner Bros. already is touting a release date of November 2016, suggests that they will be pushing Murphy for accolades. Stay tuned for our coverage of the film and the entire festival itself to see if it’s really worthy, though. 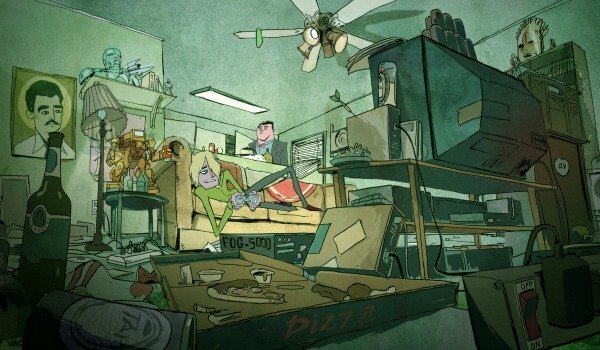 The debut of Nerdland’s trailer last month immediately got film fans excited about the adult animated comedy, which is led by the vocal talents of Paul Rudd and Patton Oswalt. Written by Se7en’s Andrew Kevin Walker, Nerdland is set in Hollywood and revolves around Patton Oswalt and Paul Rudd’s aspiring screenwriter and actor, respectively, who decided that they have to become famous before their 30th birthdays. This provokes the pair to go to increasing extremes to reach their level of fame. It’s not just Paul Rudd and Patton Oswalt that will be bringing the funny in Nerdland, because Hannibal Buress, Mike Judge, and Molly Shannon as well as many others are providing vocals for the film, too. Director Chris Prynoski will be hoping it makes the same splash that fellow R-rated animated comedy Sausage Party did at SXSW just last month. Do you ever find yourself wondering just what happened to Katie Holmes? Well, thanks to the 2016 Tribeca Film Festival, now you have your answer. Because the Batman Begins actress’ debut outing as director, All We Had, is debuting at the event. Katie Holmes also stars as Rita Carmichael, the struggling mother to her young daughter Ruthie, played by Stefania Owens. The pair move to a new town to start afresh, but that starts to turn sour as they’re unable to find their footing because of the Great Recession. Based on Annie Weatherwax’s 2014 novel of the same name, All We Had is a proudly feminine coming of age tale, and it might help to remind the world of just how talented Katie Holmes is in front of the camera, while showcasing her burgeoning abilities behind it, too. The 2016 Tribeca Film Festival runs from April 13 until Sunday, April 24. Check back to CinemaBlend during this time for updates of the best films from the festival.